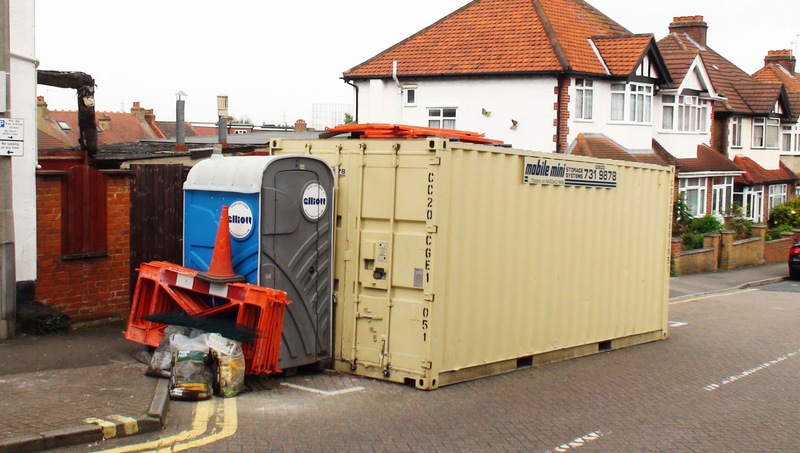 The WORCESTER PARK Blog :: Missing A Big Yellow Box? The box was a sort of headquarters and storage unit for the shop front works going on at the top of the high street. The last bit to be done was a bit of scraping of painted pebble dash of the side of last building. This having been completed, the box was removed yesterday. Some had thought the box was something to do with More Than Lofts but this was indeed not the case.